Dr. Zein Obagi has been developing products and programs to enhance skin for decades. His newest product line, ZO Medical, consists of therapeutic skincare products and treatments only accessible by skin health professionals. The products are designed to tailor particular skin necessities despite age, gender, skin condition or ethnicity. “Based on the latest advances in skin therapy technology – biotechnology complexes, plant stem cell components, and multi-therapy delivery systems – these products and programs have been optimized for your specific needs,” according to Obagi. 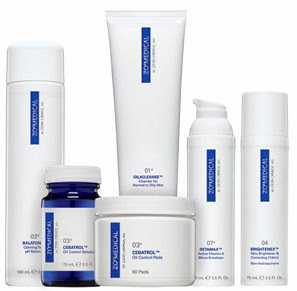 The line consists of an array of products ranging from cleansers to eye repair crème. “This concept bridges the gap between therapeutic and daily skincare by providing the most effective technology and products to achieve continuously healthy skin,” said Obagi. The Normacleanse helps remove impurities, firms, nourishes and calms the skin and is ideal for patients with normal to dry skin. Liprebuild is an advanced therapy lip treatment that can be your well kept secret. This treatment plumps lips, enhances overall shape, size and contours all while repairing your lips to their ordinary rosy shade. There are a handful of products within the ZO Medical line that require a prescription such as Melamin, a skin bleaching and correcting crème. This product helps lighten hyperpigmentation by hindering melanin production and leveling skin color and tone. Melamix, similar to Melamin, is a skin lightener and blending crème. This product reduces the appearance of chloasma, melasma and freckles. Whatever your skincare needs may be, The Shaw Center can help customize the ideal skincare program fit for you. We carry the ZO Medical line as well as the ZO Skin Health over the counter product line. Make an appointment with the Shaw Center at (480) 767-1900 to see what products are right for you!